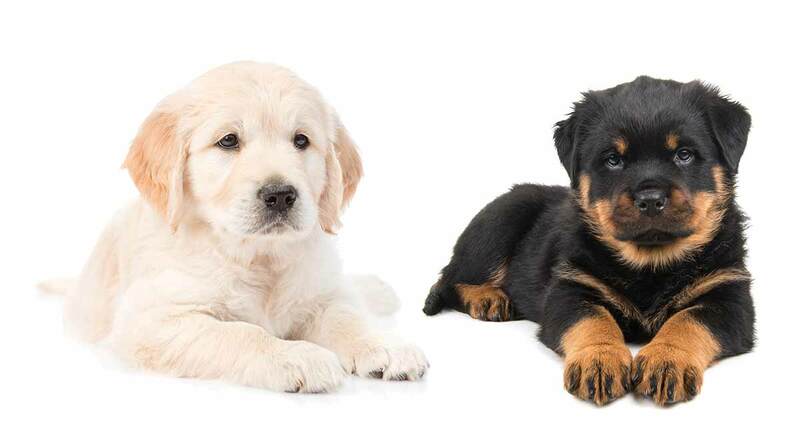 Rottweiler mix breeds are an increasingly popular choice among new puppy owners. But which one is right for you and your family? With so many varieties, it can be hard to decide. But don’t panic! This list of the most popular Rottie crosses will help point you in the right direction. Rottweilers have been popular pets and working dogs for a long time. So it’s not surprising that their mixes are gaining traction too. Sometimes because potential owners want a different look, others because they like the idea of adding a spark of another pup’s personality. Although with a mix you never can be sure exactly what you are getting, the intention is normally to combine two different looks or temperaments into a fabulous new blend. Of course, the outcome of this varies and depends a lot on which other breed the non-Rottweiler parent comes from. The Rottweiler crosses come in all sorts of shapes and sizes. 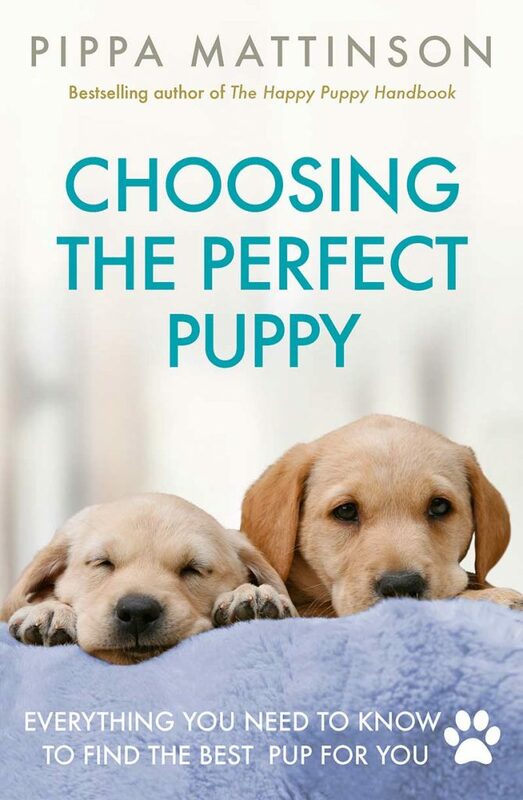 From giant breed crosses to miniature mixes, the combination of breeds that will suit you best will depend a lot upon your personal circumstances. Do you have kids? Are very active? Do you work long hours? All of the answers to these questions point you in different directions. 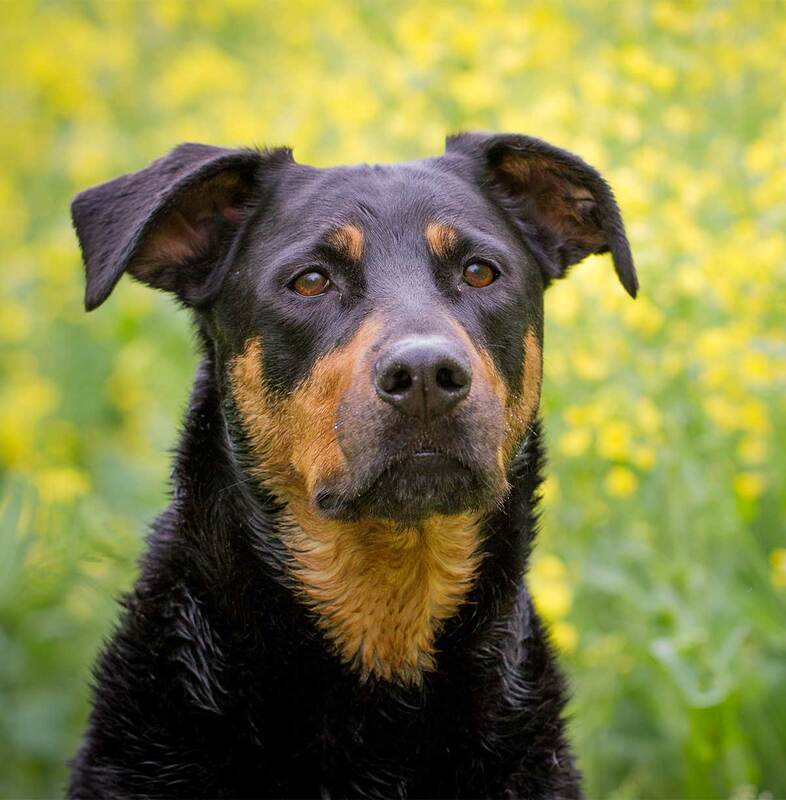 The Rottweiler Lab mix combines two quite different personalities of dog. While both loving and loyal, the Lab is much more of a general people pleaser. They are more likely to welcome intruders in than guard against them, and are usually good with children. 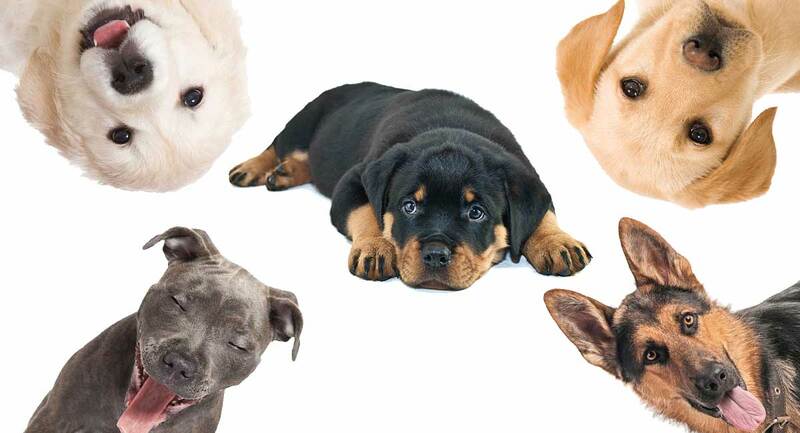 Your mix could inherit a more outgoing Lab personality, or a more reserved Rottie personality. 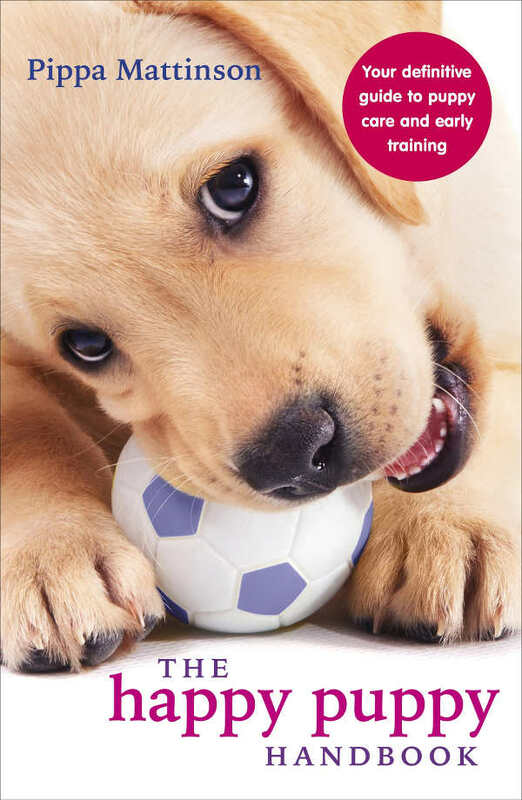 What you do know is that your pup is likely to be clever and trainable, as these are both intelligent breeds with a history of working cooperatively with their owners. The Rottweiler Pitbull Mix is a dog that combines two extremely dedicated pets in one package. Although Pitbulls have a bad reputation, and are even banned in some areas, they have legions of fans around the globe. 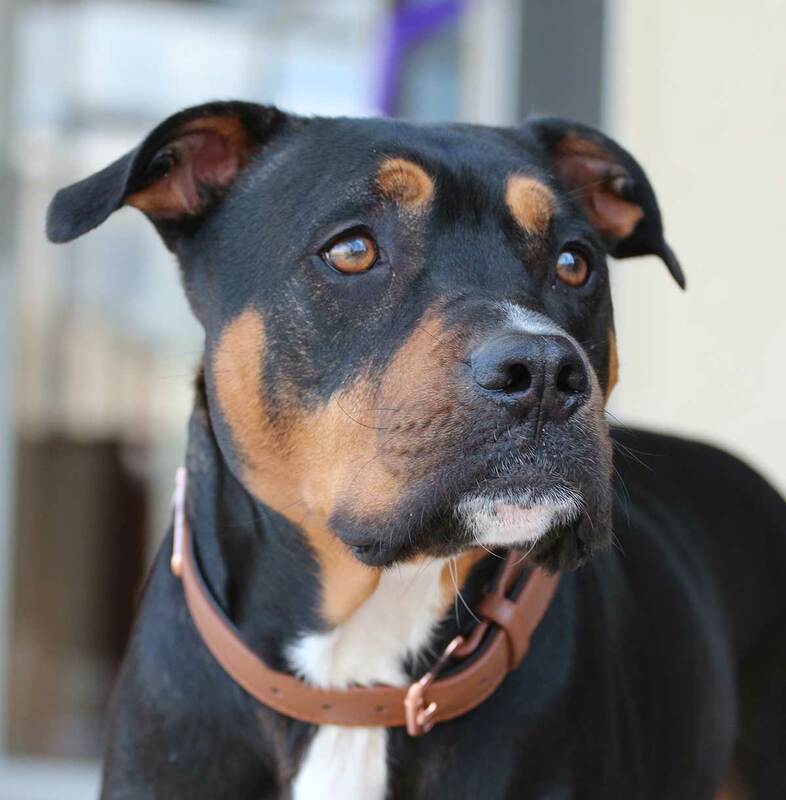 This is a Rottweiler mix that will have a serious protective streak, and will need lots of socialization to help them feel comfortable around strangers. 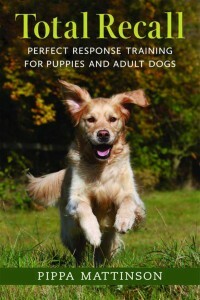 Positive reinforcement training is key when bringing up this loyal cross breed. 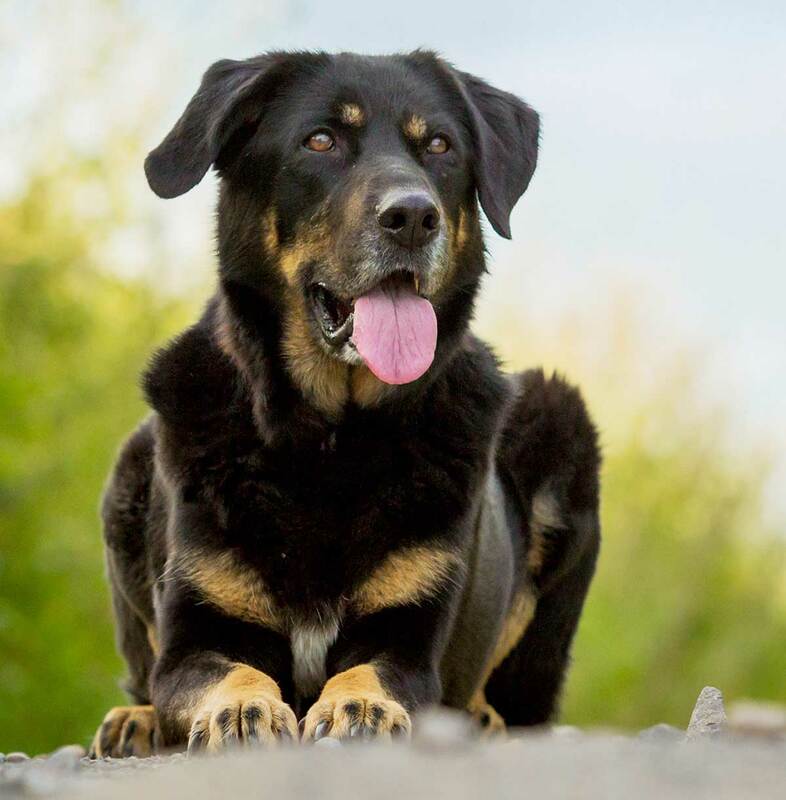 The Golden Rottweiler is a Rottie Golden Retriever mix. You are combining the classic family pet with the classic guard dog. This mix could reflect either of their personalities or a be a blend of both. They are also likely to be a high shedder, and an intelligent companion. A Rottweiler Mastiff mix is going to be a bit of a powerhouse. Both strong and tough breeds, this pup has guarding and brawn coming from both parental lines. This Rottweiler mix will be loyal, protective and loving. Benefitting from getting to spend a lot of time in your company. The Rottweiler Poodle Mix is often referred to as a Rottle. Combining a Rottie with the most popular purebred to cross, the Poodle. Both intelligent and a little aloof with strangers, you are be confident of getting a pet that is going to be prefer to be in your company. 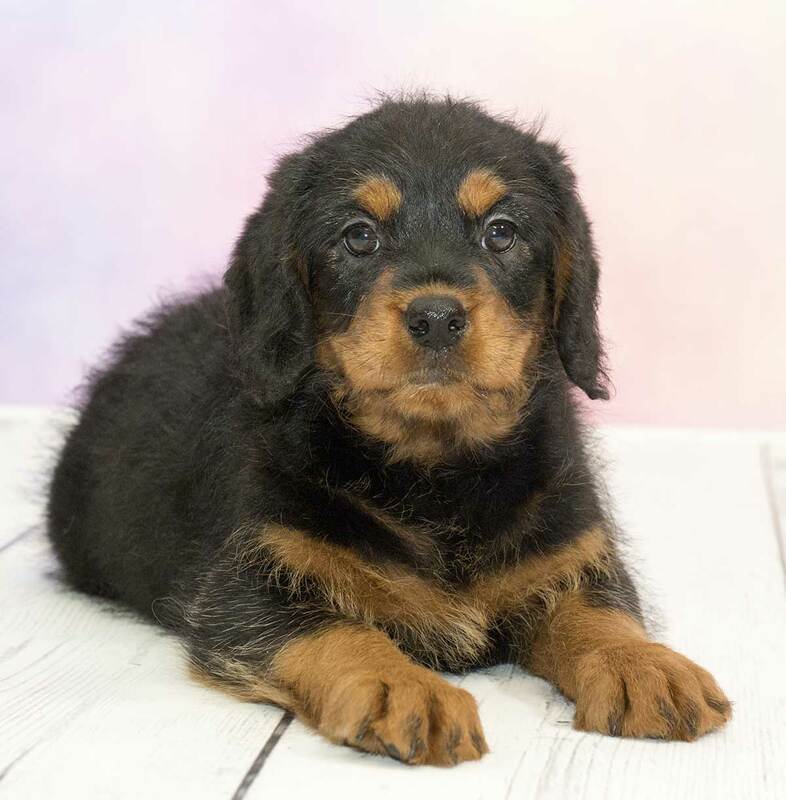 They are also likely to have a higher maintenance coat that your average Rottweiler mix, with the combination of the Poodle’s classic curls. 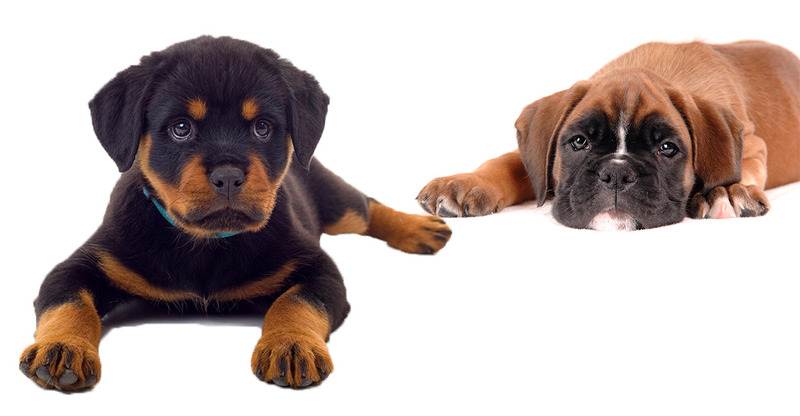 The Boxweiler is, of course, the product of a Boxer Rottweiler Mix. 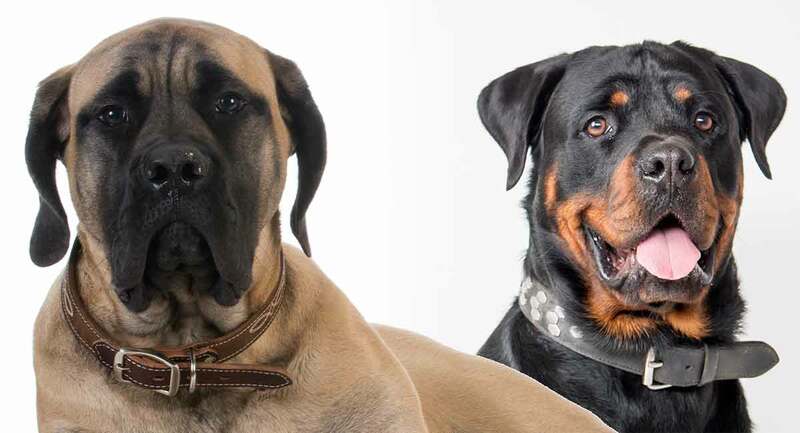 Both fairly large breeds, this mix could reach weights of up to 100lbs when fully grown. This mix is likely to be sturdy in build, with plenty of energy. Their coat will be short, and should be easy to manage with a regular quick brush down. The Rottweiler German Shepherd Mix is a popular choice. These two loving breeds share a lot of qualities. They both have a rich working history and a protective nature. This mix will probably be a high shedding pup, and will definitely benefit from plenty of socialization and lots of positive reinforcement training as they grow. Rottweilers are a hard working breed. They have been used as guard dogs extensively over the generations, but can also make good pets. Like any pedigree breed have the predisposition for certain health problems, which you will need to make sure their parents have been tested for. 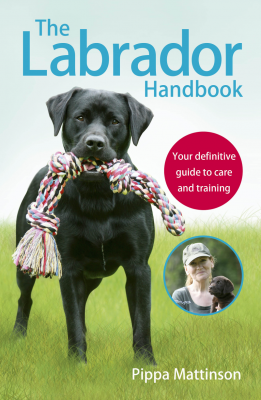 The other parent will also need to be health tested for conditions relevant to their breed. When you mix a Rottie with another breed, the outcome can be uncertain. So make sure you get to know both of them well before you make your decision. You’ll need to be confident that you would like to share you home with either breed, or a cool combination of the two. Malm et al. 2008. Genetic variation and genetic trends in hip and elbow dysplasia in Swedish Rottweiler and Bernese Mountain Dog. Journal of Animal Breeding and Genetics. Years ago I picked a black fluffy pup from a rottie litter. Found out after he is crossed with a working collie. Dog with a collie coat that drys well and doesn’t smell like wet dog but sheds alot! Not a cross for the feint hearted, extra collie intelligence, he lives to work but naturally nervous with it. He was great at agility. At 10yrs he is still in excellent condition.